There’s a very special story behind the story of THE THEORY OF OPPOSITES and today Allison shares this with us, in addition to the best writing advice ever: WRITE FOR YOURSELF. Please welcome Allison Winn Scotch to WFW! I’m about to publish my fifth book. Whew! Way back when, when I first tried my hand at fiction, when I wrote a (terrible) manuscript that was never published, when I was a freelance magazine writer who felt the tug toward novels…never in my wildest fantasies did I imagine that this is where I’d be seven years later. Five books. Well, hot damn. Writing each book has been a different experience than the last, and no more so than with my new one, The Theory of Opposites. My debut novel was a bit like losing my virginity (forgive the visual): I fumbled, I screwed-up, I learned as I went along, eventually, figuring out (mostly) what I was doing. My second book, Time of My Life, was a frantic joy of a novel – I wrote it quickly and obsessively, purging myself of the story. My third was my least favorite writing experience – I felt saddled by the success of Time of My Life, and put immense pressure on myself to top my own standards of what I was willing to publish. It was agonizing, and I still look back on that book and grimace, whether or not the pages inside justify my feelings. I wanted my fourth book to be…deeper…heavier, (who knows why? ), perhaps…taken more seriously. So as I wrote, I kept this in mind – what would critics say? What would readers say? And I love that book, but certainly, I wrote it with one-eye on a critical prize. But this new book? Here is what I did: I wrote it for ME. Just me. Only me. Me, myself, and I. And it was the best professional experience of my life. It’s harder than you think – writing for yourself. Ignoring the voices of readers that you can hear in your head. Ignoring what you suspect Publisher Weekly or Kirkus will write up about you. Ignoring the evisceratingly mean barbs that some random person will shoot your way on Goodreads. But if you can find the way to block out all of those other voices, all of that extra noise, you’ll find the writing process liberating. Or at least, I did. Here is what I decided: that I was going to go balls-out. And when you go balls-out in your writing, your characters become sharper, your plot lines become more daring, your dialogue becomes more punctuated. You have nothing to lose because you are writing on the edge. You’re not writing to please a marketing team; you’re writing because you love it. It’s not easy, to separate the writing process from the publishing process. I had to constantly remind myself not to read my pages from the perspective of “how sellable” they were; it didn’t matter – this book was for me, not the sales team or the marketing team or an editor who wouldn’t agree with my choices. I also had to constantly remind myself to listen to my gut, and that by listening to my gut – and honoring my instincts – I’d find renewed joy and happiness in the writing. And that the writing was the better for it. 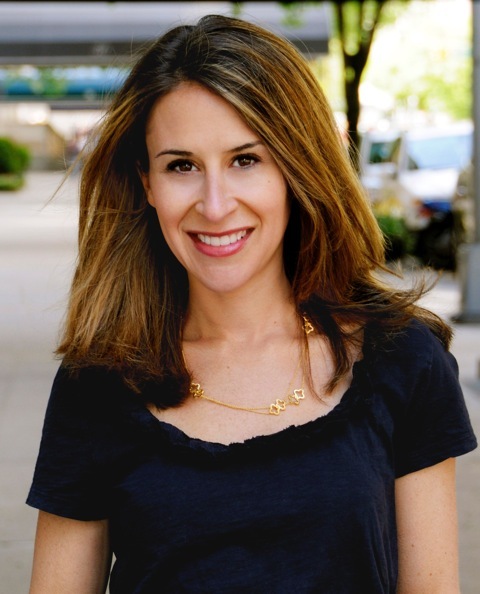 Allison Winn Scotch is the bestselling author of four novels, including TIME OF MY LIFE, THE SONG REMAINS THE SAME, THE ONE THAT I WANT, and THE DEPARTMENT OF LOST AND FOUND. Her fifth novel, THE THEORY OF OPPOSITES, will be released on November 12, 2013. In addition to fiction, she pens celebrity profiles for a variety of magazines, which justifies her pop culture obsession and occasionally lends to awesome Facebook status updates. She lives in Los Angeles with her family. For more about her and her books, go to allisonwinn.com or follow her on Twitter at @aswinn. I actually love the analogy of losing your virginity! Though I’m definitely too old for that, that’s exactly what it feels like. A lot of fumbling in the dark and learning as you go. I have a terrible, stinker of a novel in the drawer that I hope never again sees the light of day, but the one I’m doing final revisions on now, I’m hoping someone (or lots of someones) will feel like I wrote it just for them. Five books and counting…awesome. 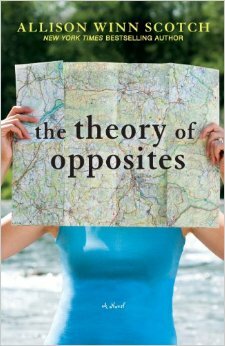 Looking forward to reading The Theory of Opposites! Thanks, Denise. I wasn’t sure if it were too…visual. 🙂 But I agree! Thank you, Allison, for your inspiring example of separating the writing process from the publishing process. Best wishes with THE THEORY OF OPPOSITES. Allison I can feel the exuberance and the liberation in the sentences of this post! Thanks for sharing the feelings with us and Amy thanks for hosting such inspiring writers! Thanks for sharing your thoughts Allison. I’ve followed your evolution in writing, and can’t wait for book 4. Writing for yourself is so true and honest. Great piece–words to live by! P.S. Yes, thanks to Amy for hosting this blog–good conversation here! Have been a big fan of yours for years Allison! (And also a loyal follower of your super-helpful, always-honest blog–you turned two of my questions into posts a few years back which I so appreciated!) Love this post for the same reasons: so honest, insightful, and empowering. Anyway, so excited for your new book and many congratulations! Thanks again Amy! So wonderful to read this. Go Allison! This is such an encouraging post, Allison! Exactly what I needed to hear! Thanks for sharing and can’t wait to read THE THEORY OF OPPOSITES. I really needed to hear this today. I’ve been stuck , unable to move forward on the new WIP, and I realize I need to just push all doubts aside and just write for the joy of it, and for myself. Congratulations on THE THEORY OF OPPOSITES, Allison! And thanks to you and Amy for sharing with us. Good luck, Natalia! I’ve been there, done that and know how hard it is. Keep writing! Thank you, Shari! I agree – it’s amazing how easy it is to forget, and then how wonderful it is to remind yourself.